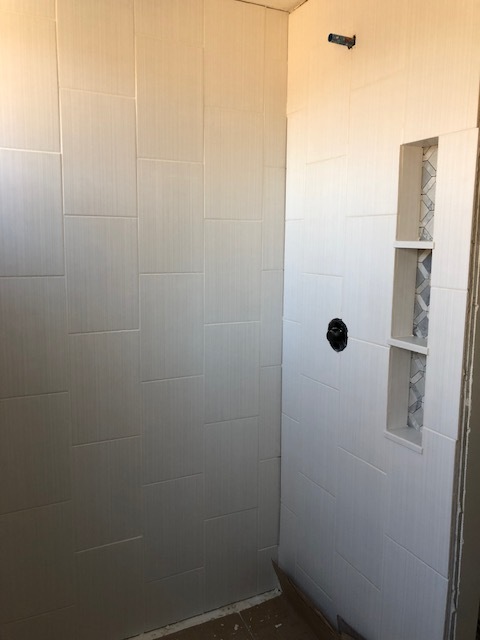 I spent Saturday morning grouting the walk-in shower at the Harvard Ranch. 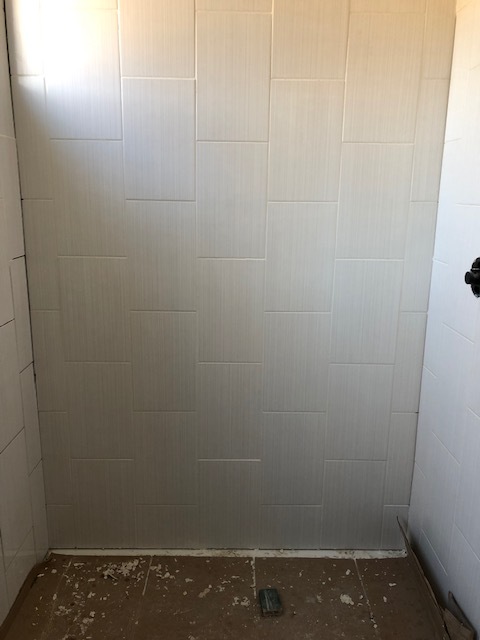 Grouting vertical surfaces usually leaves me tearing my hair out, but I was listening to episodes of Dax Shepherd's Armchair Expect and just deep breathed my way through it. 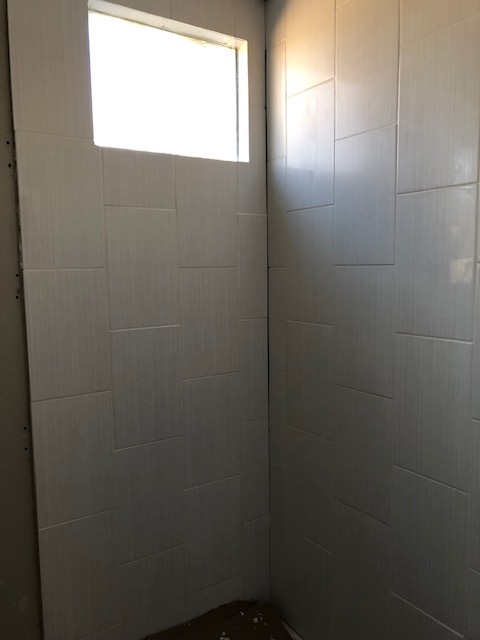 It's fine when you're grouting big surfaces, but when you get into tiny spots like in those shampoo/conditioner cubbies, or the window in the wall opposite, where grout needs to go on the bottom, the sides, and the top, it can get a little tricky. I've learned that I'm just going to get dirty so it's okay to use my hands. Grout eventually comes off.